So, let’s say you’re going camping. Or preparing for a power-outage. Or just want to lower your eco-footprint. How? Well, you can use this no-power washing machine. 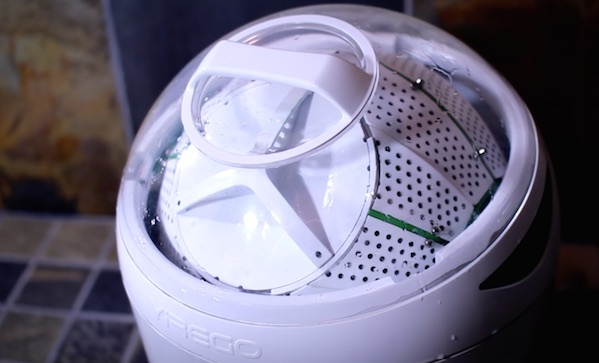 The Drumi Off-Grid Washing Machine ($170) is foot-powered. All you do is fill it, add detergent, add water, close it up, and hit the pedal, which will spin the interior.